Genealogy is the quest to find one’s ancestry. Before planning a trip to a research facility, it is best to begin the journey with yourself. 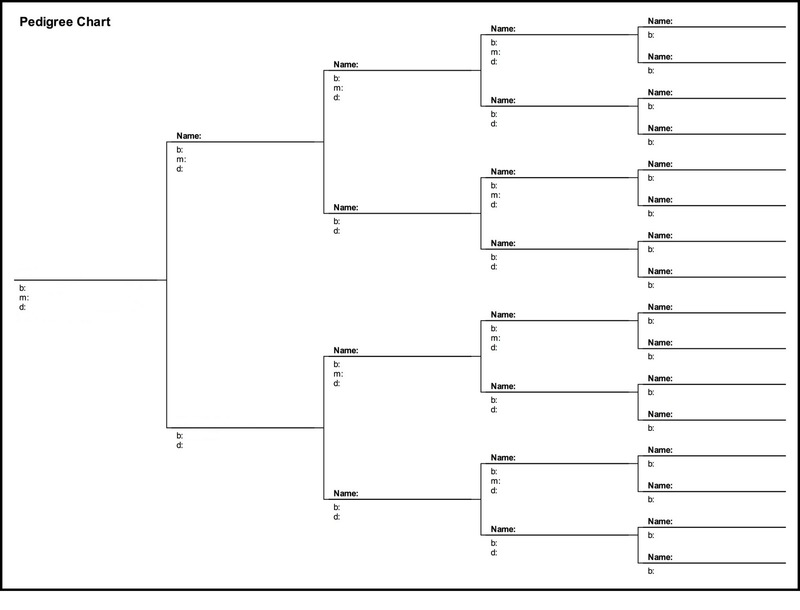 Using a pedigree chart or family group sheet, record all vital information about you and your immediate family, (i.e. births, marriages, and deaths), as well as where the event took place. Include your parents, grandparents, aunts, uncles and cousins. Please note: Beginning April 9, 2019, microfilm for the York Daily Record newspaper will be temporarily unavailable. It is being sent to be digitized and added to Newspapers.com. Please call ahead for availability. If you have ancestors in York County, the Library & Archives has a wealth of resources to help you with your research. When you visit the library, come prepared with the information you have already gathered. The recording of vital statistics varies from one municipality to another, whether on the county or state level. Pennsylvania did not record births and deaths until 1906 and York County began recording marriages in 1885. Prior to these dates, one must consult other sources, such as church records, newspaper obituaries and cemetery tombstone abstractions to fill in missing information. We currently have over 8,800 family collections which contain information from church records, estate records, tax records, burial information from a 1930s cemetery survey, and obituaries, wedding and engagement announcements clipped from the local newspapers. 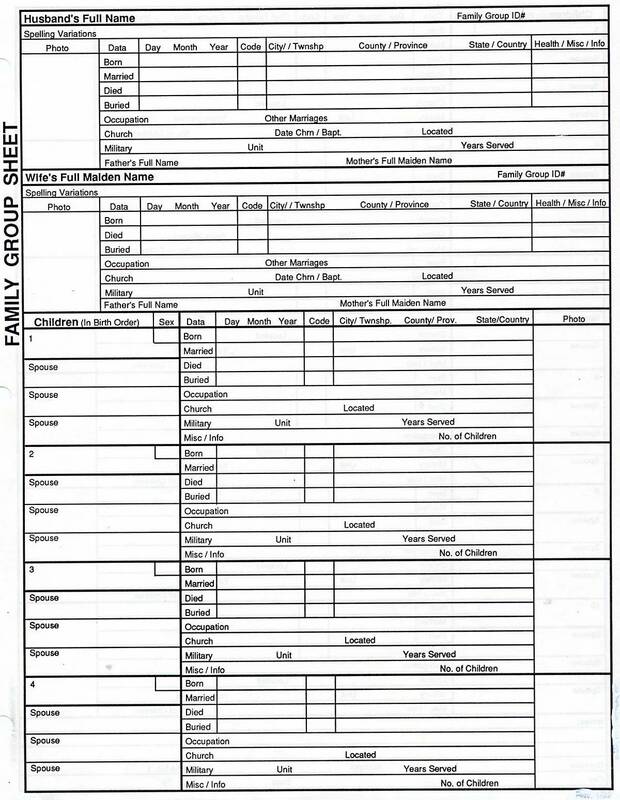 The family files also contain materials contributed by researchers and volunteers, which could include research queries, family charts and group sheets, research notes, photocopies of legal documents, and other materials collected by researchers. We also have a large collection of family genealogies that have been donated by the authors. Other important genealogy resources are Family Genealogical Reports compiled by the Historical Society of York County beginning in the 1930s. The Family Report provides data about one particular family that was available at the time of compilation. They are useful to the researcher who wants to get a broad overview of a particular family’s presence in York County. Click the link above for the searchable Family Reports database. The York County History Center also has an online database of scanned Bible Records and is one of the only repositories in Pennsylvania that has the two major York County newspapers and their predecessors on microfilm. In addition the Library & Archives has subscriptions to the online databases Ancestry.com/Library Edition, Newspapers.com/Pennsylvania Edition and Fold3, a source for U.S. military records. For researchers who live out of the area, click the link below for more information on our research by mail service. Rev. 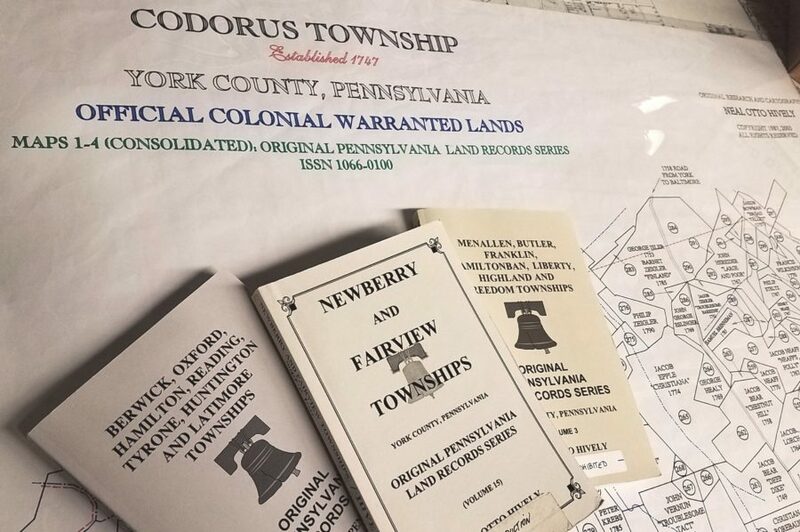 Dr. Neal Otto Hively, recently retired Lutheran pastor, has donated his life’s work and copyright to maps and accompanying books on original York County land records. Dr. Hively first “discovered” early York County Land records while he was pastor at Bethlehem Steltz Church in southern York County. In 1986, while pursuing his doctorate, the late Dr. Charles Glatfelter strongly urged him to look into the founding family angle of these early land records. 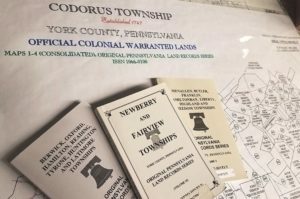 After many hours and miles of travel to the York County History Center, the Pennsylvania State Archives, the Historical Society of Pennsylvania and the Hall of Records in Annapolis, Maryland, he created 16 books and 14 maps for York County. Dr. Hively has researched 11,400 colonial surnames, and 4,545 tracts of land while creating the maps. In 2003 the South Central Pennsylvania Genealogical Society presented the Henry J. Young award to Dr. Hively for his tremendous work pertaining to the original land warrantees for properties in York County. Please contact the York County History Center Book Store at 717-848-1587 to check the availability of maps and books.